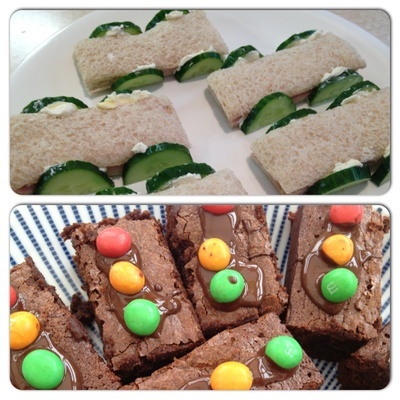 As a busy working mum, it's not always easy to find the time to create a special birthday party. My two boys birthdays fall just 10 days apart so we choose the weekend in the middle and throw them a joint party. They're so mad about cars at the moment and made a special request for a car cake that I decided that would be the theme for the birthday party. The next challenge was to pull something together that was stress free and easy for me but would still make a memorable day for them. Of course, just having friends and family there is what matters most but it's great to see the excitement on their face with a day just for them. My easy ideas meant they could be involved in the preparation too. The birthday cake and blowing out of the candles is always a big deal at a kid's birthday party. It's not as hard as you think to decorate your own and if you don't have time to bake then just buy plain sponges and use your time for the decoration. 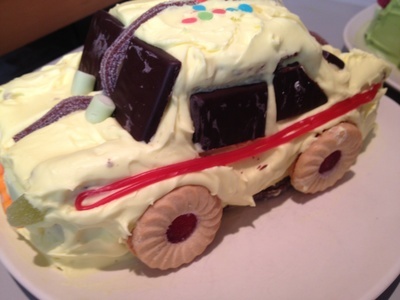 What about these easy car cakes ? You don't need to theme all your food at a party. Just a few easy fun foods can create a great look and feel. 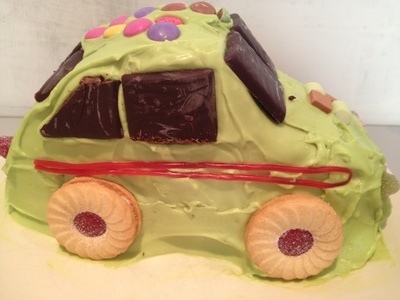 For a car theme party, why not try making traffic light brownies and simple ham sandwich race cars. I kept the decoration really simple. Balloons always add a party feel. Keeping with the car theme, we tied together red, orange and green like the colours of traffic lights. Make up some simple party bags for the guests and they can provide a decoration too. My kids are now only just two and four so they don't need a lot of party games. They love tearing around with their friends most of all. Pass the parcel can be themed with a small car as the prize and some car stickers for the winners of musical statues. 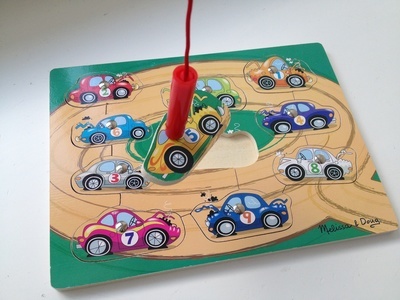 Dig around your house and you might even find some car related toys or jigsaws like we did. If your group is not too large you could set up a transport related craft table.